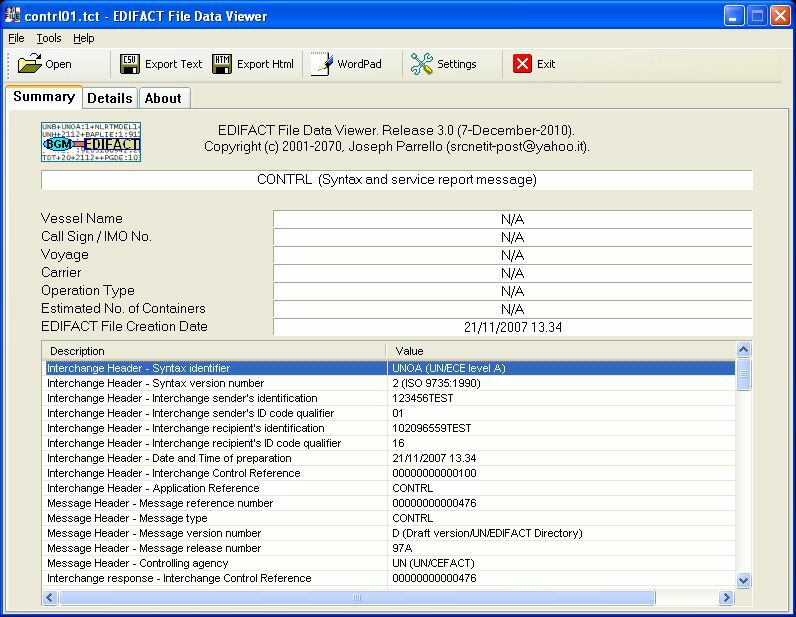 This program shows data included inside an EDIFACT ("Electronic Data Interchange for Administration, Commerce and Transport", term created by United Nations) file. EDIFACT files are used for electronic data format interchanging. This program is not supported anymore.